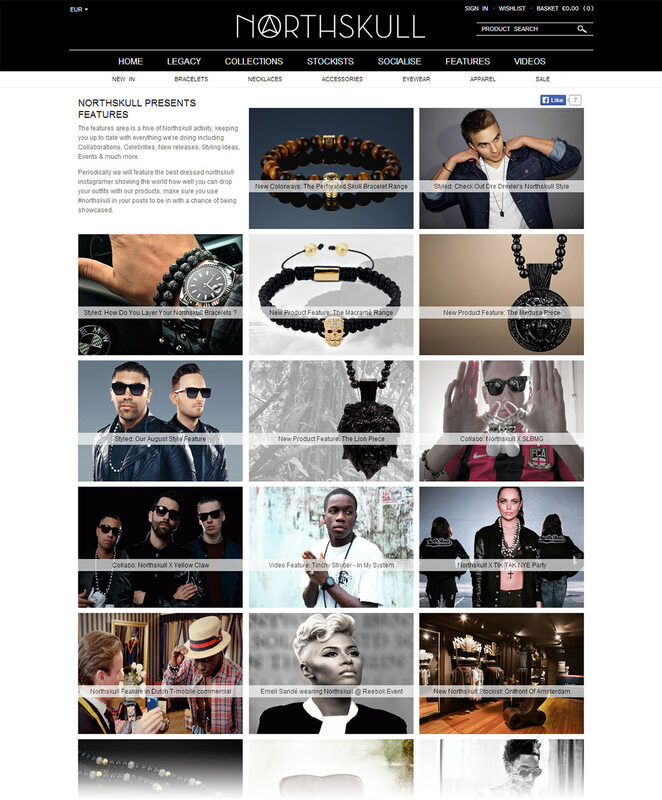 Northskull is a fashion brand based in London. 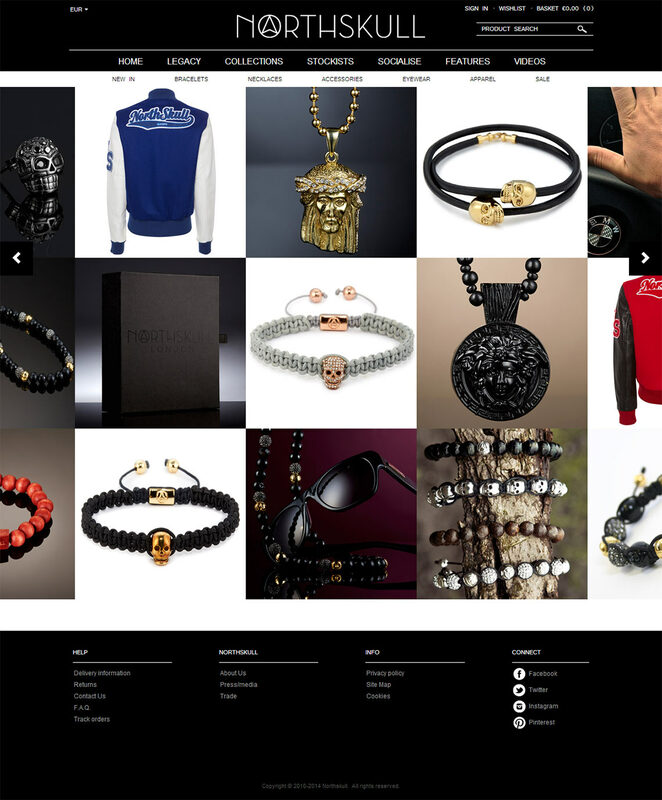 It specializes in producing unique accessories and jewelry made of expensive materials: gold, silver, leather and fine wood. The ones who love this brand are a special caste; these people prefer alternative clothing. 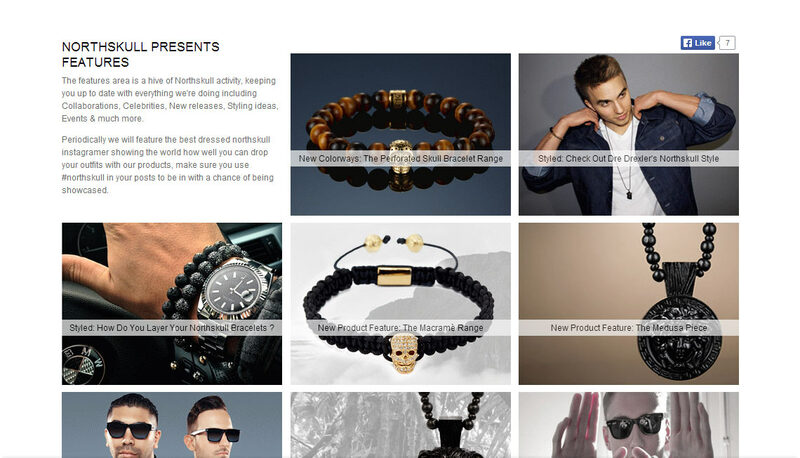 A modern online store for a new step in the business development of Northskull. The brand had a pretty poor and undistinguished online store. Technical problems related to the store required urgent resolving. It was decided to transfer the online store to the CS-Cart platform, version 2.2.5.
and can correct the tasks as the project is being implemented. Transfer of the store database to a new CMS; optimization of the performance. Modernization of the admin area of the store and implementation of additional statistics. 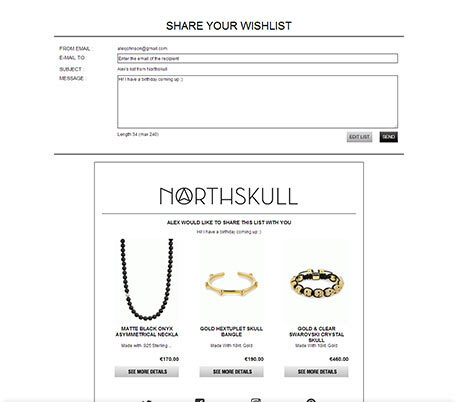 The product catalog and customer database of Northskull were transferred to CS-Cart version 2.2.5 without loss. The performance of this system appeared to be so good that it was just necessary to optimize the store layout a little bit in order to increase the speed of search, page and statistics load. Before After The average time of loading a category page: 1 sec. 5 sec. A design mock-up was provided by the client; what was required was to integrate it. 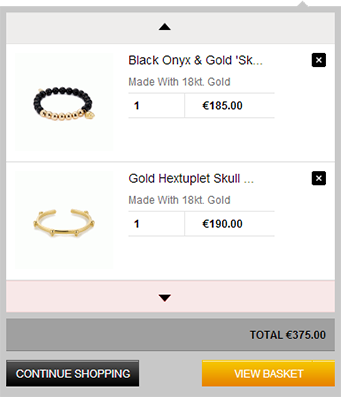 In order that the mock-up created by the designer could work in the live store, we added a lot of additional functionality and elements. Many of these were developed using the Ajax technology. 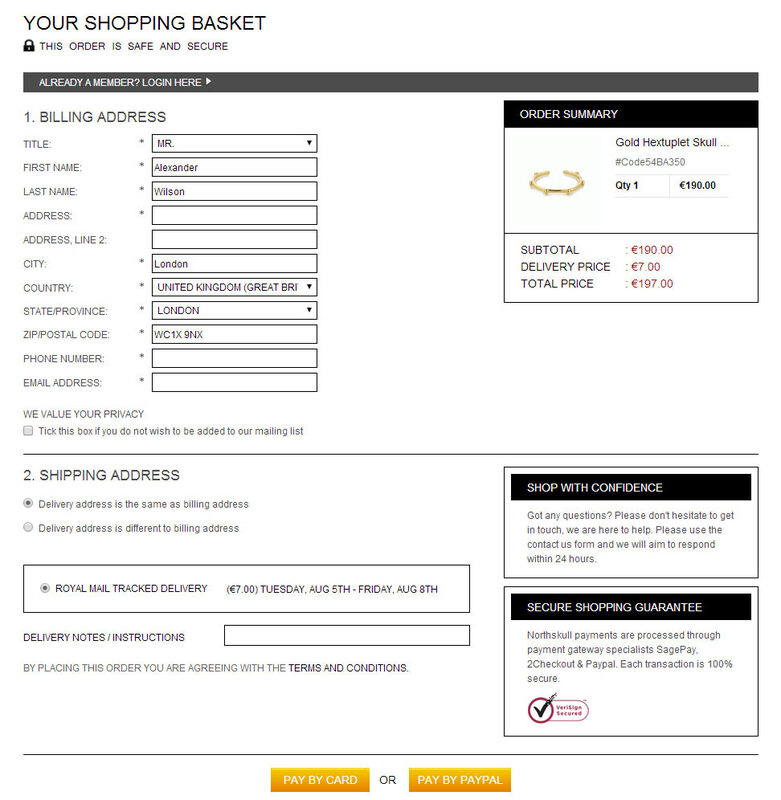 e-commerce is content marketing, and we did our best to implement it in full. are shown on the home page using blocks with dynamic description. 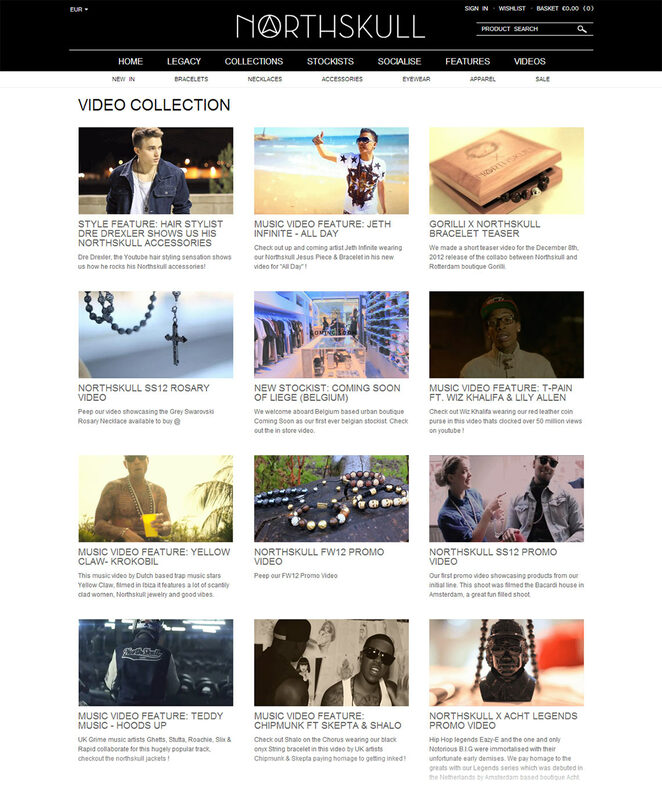 An automatic loading of videos from the Northskull YouTube channel occurs in the Video section. When played, a video is loaded in a pop-up window. Special attention is given to social networks. 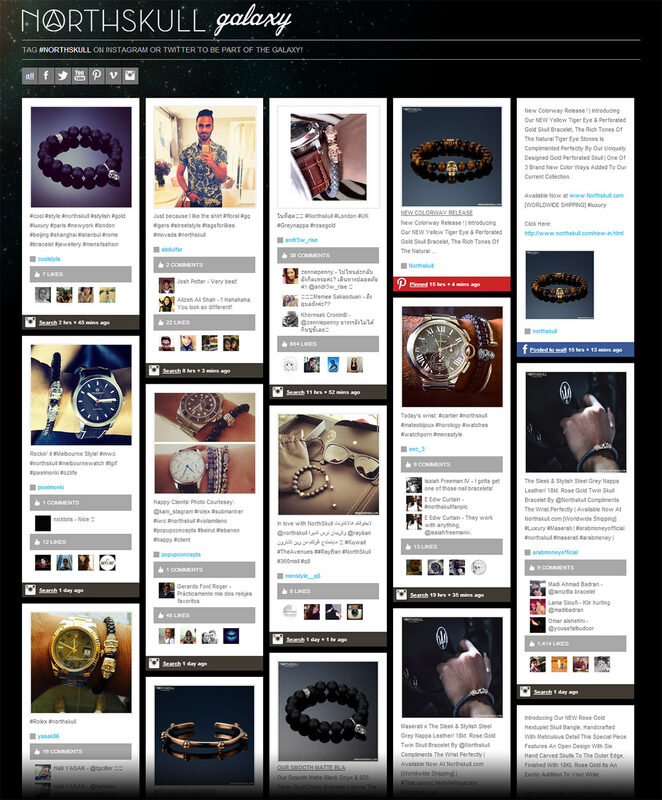 In a common window, we integrated a system of displaying posts in which the brand is mentioned in social media. 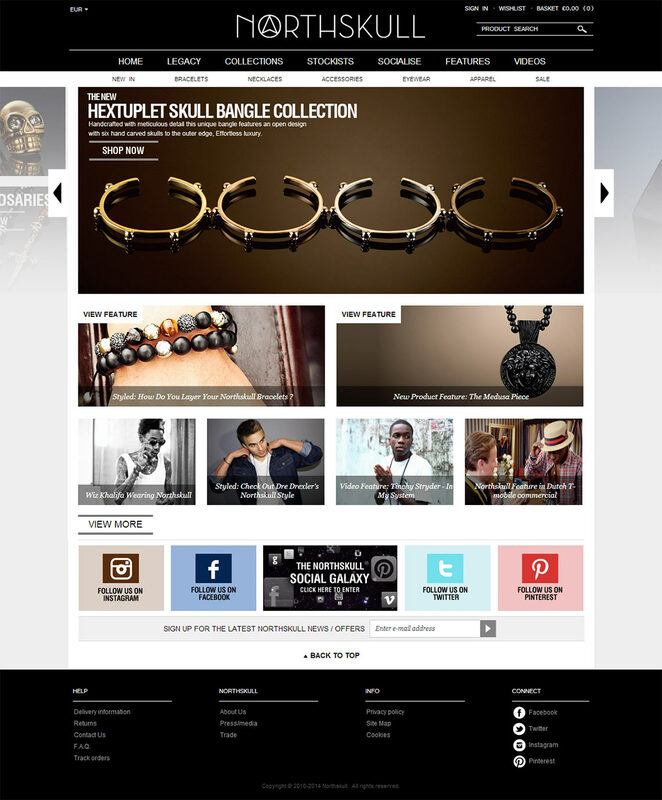 As a result, we produced Northskull Galaxy. 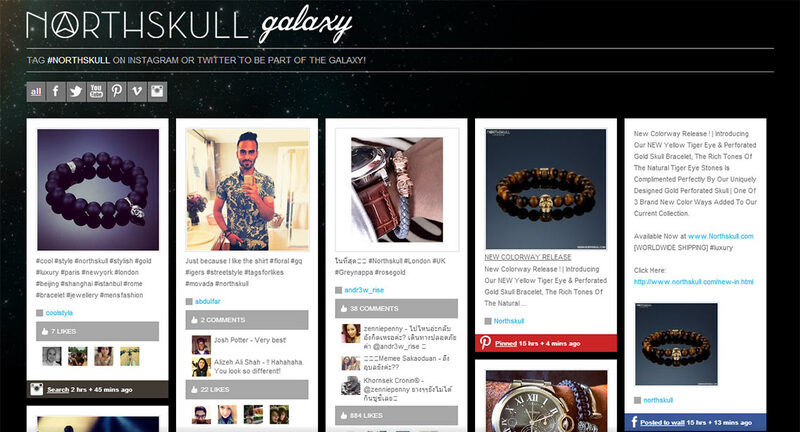 A ready-to-use solution Social Stream was used for Northskull Galaxy. We integrated the add-on into the online store and added all the necessary settings so that the administrator can successfully manage all displayed posts and their sources. 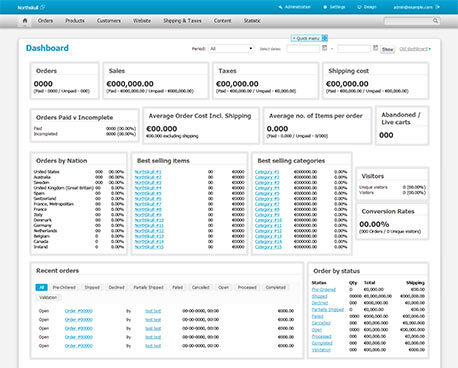 We developed an extended sales statistics system. The administrator of Northskull has a real control panel, as a pilot of an airliner does. The control panel consists of many detectors and counters that measure the store operation according to dozens of parameters. The preview of an individual order is implemented in the orders list. For exact calculation of delivery date, the store administrator can specify nonworking days in advance. It was a pleasure working with Simtech Development on this project, we opted for the dedicated service as this allowed us to work closely with the programmers and as a result our large and complex project was completed in good time and to a high standard.